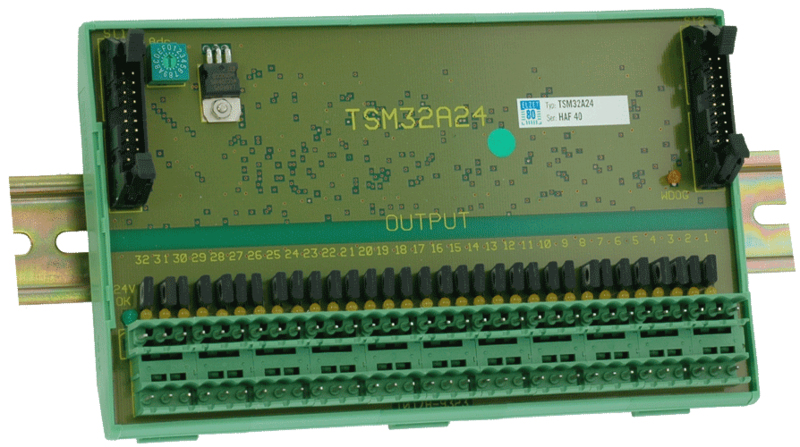 TSM-32A24 is a general purpose digital output module for high ouput-count applications. It drives 32 valves or relays from an industry standard 24V DC supply. Rated switching current is 500mA over the full temperature range for each output, however, total current must be limited by an external fuse to 5A. To a TSM-CPU, the 32A24 looks like four 8A24N modules. 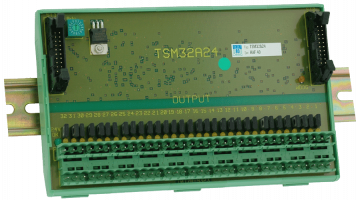 The outputs are on sequential addresses and thus can be written or read back with one 32-bit transfer. 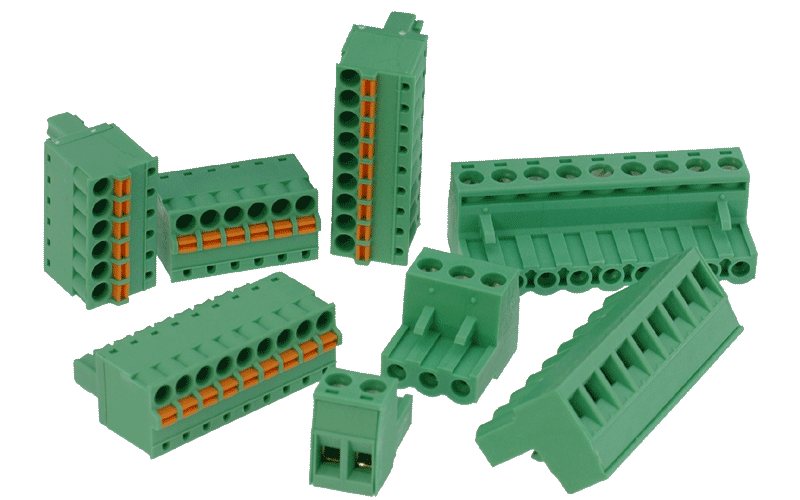 Terminal arrangement is the same as on 8A24N and also watchdog and 24V supervision are available. Yellow LEDs indicate the output state, a green LED signals availability of 24V and an orange LED lights in watchdog situations. The total number of 32A24 modules in a TSM-bus is limited by the maximum current of the DC/DC-converter on the CPU. Six modules is the recommended limit.